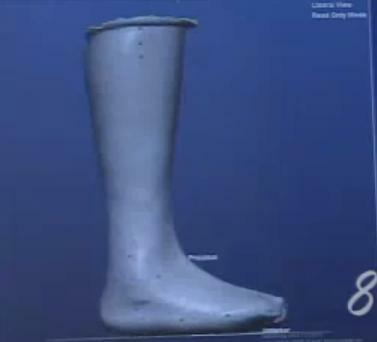 This is a news broadcast of medical technology making orthotics and prosthetics for military soldiers. A 3d laser is used to scan the soldier's foot or other parts of their body and is rendered in software. 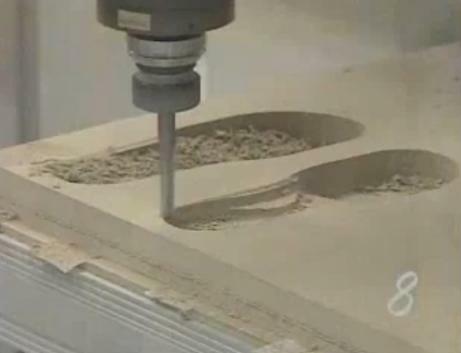 It is then taken to a Thermwood Model 67, five axis machine, and machined to the custom shape.